The Team Leader position is an entry-level, volunteer leadership role that supports the mission and vision of Boiler Gold Rush (BGR), Orientation Programs, the Student Success Programs department, and Purdue University. Team Leaders work to create an inclusive environment that enhances the growth and development of new students. All Team Leaders are responsible for actively participating in Team Leader trainings, events, and programs throughout the academic year as well as providing support to new students during the week of Boiler Gold Rush and Boiler Gold Rush International. Team Leaders must return to campus by 6 p.m. Aug. 9, 2019, for training. Team Leaders International, more popularly known as “TLI’s,” are Team Leaders for BGR International. 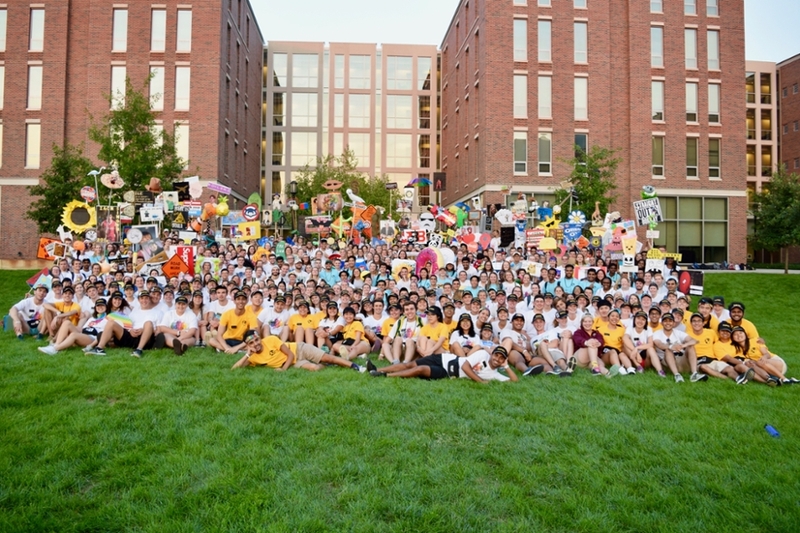 They lead new international student groups throughout orientation, helping to acclimate them to the U.S. and Purdue. TLIs usually become one of the first friends that international students make at Purdue. TLIs go through TL training and additional training that helps them understand the needs of new international students. Team Leaders International must return to campus by noon on Aug. 6, 2019, for training. The application is currently closed and will reopen in the spring of 2020. Visit the student application page to learn more about other opportunities.